A good pair of trousers is a vital part of any man’s wardrobe, but an absolute essential is a pair of black jeans. Now, whilst your other denim has had your back over the years, there is nothing more reliable than a good pair of black jeans. We’ve all heard the phrase “black goes with everything” and it’s pretty much true. Black is one of the most versatile colours you can wear and makes a great foundation for any look, day or night. Denim in itself is an incredibly relaxed material that works wonders for casual attire. However, the darker the denim the smarter the look so you don’t need to be wearing chinos or trousers to follow the dress code anymore! Formalities will accept black jeans over any other type of denim due to its sleek and sophisticated nature. Obviously, there is an array of different styles of jeans on the market. From ripped skinnies to a straight fit, there’s a cut for all shapes, heights and personal styles. Pretty much everyone owns at least one pair of black jeans but that doesn’t mean we all feel confident when styling them. With so many rules about what colours ‘go’ together, or if black jeans are formal enough, it can get quite stressful. That’s why we’re here to make your life easier and give you a hand when it comes to tips on styling, fits and colourways! One of the best looks is simply pairing black jeans with a buttoned-up shirt. This super easy outfit is ideal for smart casual dress codes and socialising. If you’re feeling bold, showcase your jeans with a vibrantly patterned shirt. These jeans are skin tight but have been distressed on the knee giving a bit of a grungy feel. Ripped jeans can be tricky to style but all in all, they add a bucketful of character and the distress will wear well. If you’re feeling bold, a linen shirt like below is a great way to mix up textures and leave you looking laidback yet still smart. Also, the contrast between the black denim and white shirt is striking, providing the look with structure and character. Monochrome is a trend we see time and time again, this is because black and white together create the perfect blank canvas for you to accessorise! Just by tucking the shirt in and wearing a smooth leather belt, you’ve got a smasual look ideal for summertime socialising. Here, the linen shirt has been left loose with rolled cuffs while the slim-fit jeans lightly hug the shape of his legs. This is one of the most versatile pairings you can find! Another big trend that’s been making a comeback is double denim but don’t worry, we won’t let you repeat the 2001 Justin Timberlake fiasco! Firstly, black denim is far sleeker than blue wash so you’ll always have an element of class when wearing black jeans. Pair these jeans, like below, with a regular-fit denim shirt to create a subtle denim-on-denim look which you can wear for many occasions. 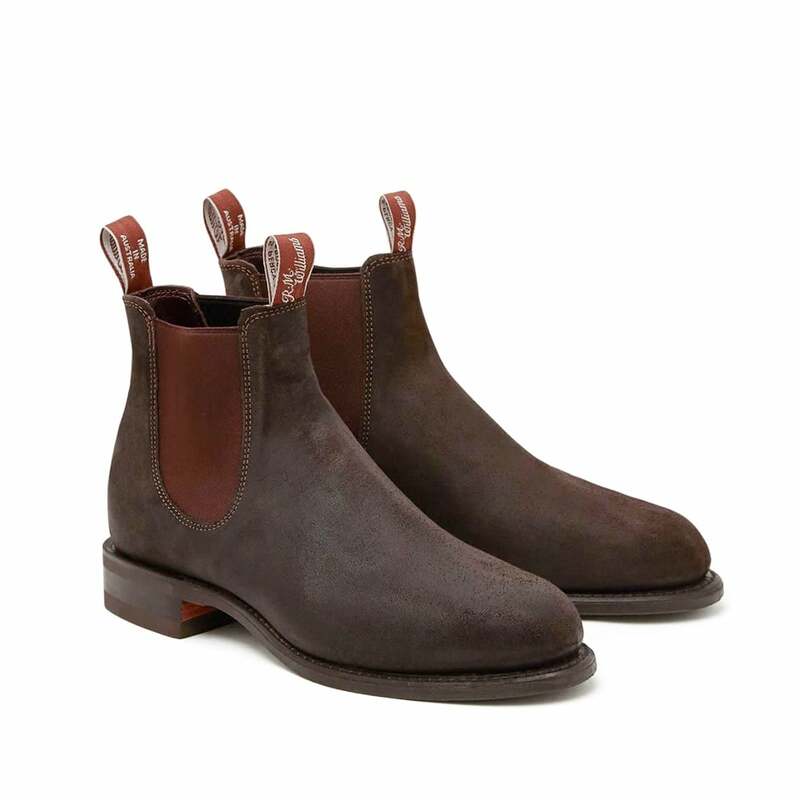 Chelsea boots also go hand-in-hand with skinny jeans as their smooth leather uppers stand out against the rough texture of the denim and exude premium quality. Another option for styling double denim is getting your hands on a denim jacket. Like David Beckham, you can easily slip on a dark blue wash jacket over a tonal outfit for a casual day-to-day look. When you pair a black tee with slim-fit black jeans, you have the perfect canvas to accessorise. Like Beckham, finish your look off with suede desert boots and a staple flat cap. He’s also broken up the outfit with a silver wallet chain, adding a touch of interest and practicality. For a more on-trend approach, try out a pair of ripped skinny jeans matched with a regular white tee and light blue denim jacket. This look is incredibly understated, from the duffle bag swung over the shoulder to the dark suede Chelsea boots. This denim jacket is a big contrast to the black jeans but the distressed detailing on the knees compliments the faded fabric on the jacket. He’s also rolled up the cuffs giving the whole look a bit more of a worn-in vibe. Inherently a casual garment, black jeans can be styled to look sharp and sophisticated. Here, Chris Hemsworth has been styled in a sleek tonal look, very simple to achieve but really packs a punch. With slim-fit black jeans as his foundation, the black v-neck extends his torso making him appear taller. The slim-fit jacket also tapers in at his waist while the notched lapels accentuate his shoulders, making him appear slightly broader. Black-on-black outfits are a great failsafe if you are concerned about what to wear. There is a reason people gravitate to black clothing when shopping and it’s down to its reliability and flattering nature. A bit more refined, this shirt and jacket combo would be ideal for events and occasions throughout the year. With carefully rolled cuffs, this look still has elements of casual attire but it has been well balanced with the single-breasted jacket and shirt. Cleverly accessorised with suede shoes, a pocket square and a watch, these black jeans have almost taken on the form of a pair of chinos! Now, who said black jeans can’t be worn for weddings? This look is a complete ode to occasionwear and features a pair of slim-fit jeans. Once again taking the place of trousers and chinos, these jeans have been framed with a beige suit jacket. In keeping with this neutral palette, this look has been carefully curated. The monochromatic tones have been uplifted with the brown loafers and subtle accessories. The white fitted shirt with a classic collar perfectly outlines the black tie which is key for your formalwear. The whole look is very structured and has been tapered to fit his body similar to that of a suit. Outerwear lends itself to black jeans like no other. Our personal favourite is longline coats, they exude style and provide a polished final look. The argument of wearing black and blue has been going on for decades, but we think it’s a great pairing when done right. Now whilst initially the look above does scream Benedict Cumberbatch’s Sherlock, it’s actually a great mix up of styles. The skin-tight jeans hug the legs while the pea coat hangs effortlessly around the thighs pulling the whole outfit together. Asides from the coat, everything in this look is black even down to the worn boots. The sweater underneath has been tucked in to elongate the body and features a contrasting pleather panel to the chest which subtly matches the boots. Similarly, in the second look, the coat manages to skim around the thighs again providing more shape and formality to the overall outfit. Once again, they have styled their black jeans with Chelsea boots! For an alternative style, take a look at how this last coat has been styled. This double-breasted coat has been paired with tonally slim-fit denim. The shorter length of this jacket makes it more suitable for daily errands. To break up the black coat and the denim, try slipping on a longline tee like here. The grey cotton is only just visible from below the coat’s hem, this is ideal for layering tee and knits! 1. Know your fit! It’s important when it comes to wearing denim to understand which style works best for you. If you’re unsure, slim-fit is a pretty flattering style and a great place to start. However, if you are wanting to look a bit taller then we’ll recommend a skinny fit that will elongate your legs! 2. If you’re stuck, keep it simple. Black-on-black outfits exude style, slip on a black jacket like Chris Hemsworth for a social event or just try a different coloured coat for some structure! 3. Get yourself a pair of boots! Incredibly on-trend and popular, suede boots can instantly uplift your street style. Smooth leather boots, however, sit on the line between casual and semi-formal giving you versatility and buckets of style!